Gundam, oh Gundam. You beautiful, hyperbolic and endlessly endless thing. I recall being fascinated by its cavalcade of mecha designs ever since I first got into anime over 20 years ago, and to this day seeing a kick-arse Gundam mecha makes me smile. But I have a confession to make – despite my interest in those giant robots, I haven’t spent nearly enough time going through all the anime releases over the years. It was with a sense of anticipation that I popped the first of seven discs for Mobile Suit Gundam Unicorn into my player. What unfolded was dense, loaded with references to series’ I wasn’t familiar with, and utterly engrossing. Gundam Unicorn takes us back to the beginning of the Universal Century (UC001) meant as the starting point for a new world order that unified the terrestrial and space colonies, with the official ceremony featuring hand-holding, hugs, promises of peace and all that stuff. This would be a rather boring premise for any space opera, so everything of course blows up following a terrorist attack and we’re re-united with the space colonies nearly a century later where atypical teen protagonist Banagher Links meets a delightful, mysterious girl named Audrey Burne. 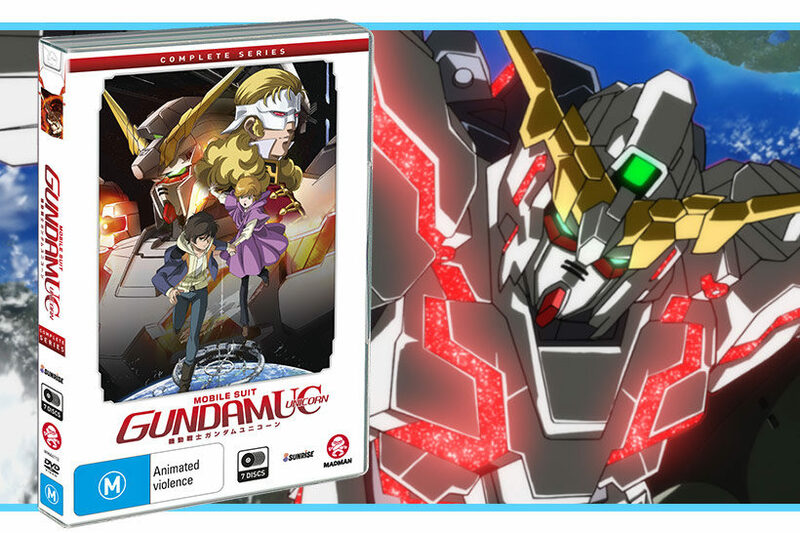 By the end of the first disc the usual boxes are ticked – Banagher is potentially a gifted giant robot pilot, Audrey is more than she seems and we’re all set for a universal conspiracy teeming with conflict that takes us on a voyage across the known universe. 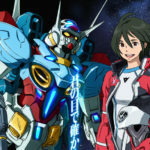 The premise comes across as nothing unexpected – on the surface it’s a typical mecha space opera. 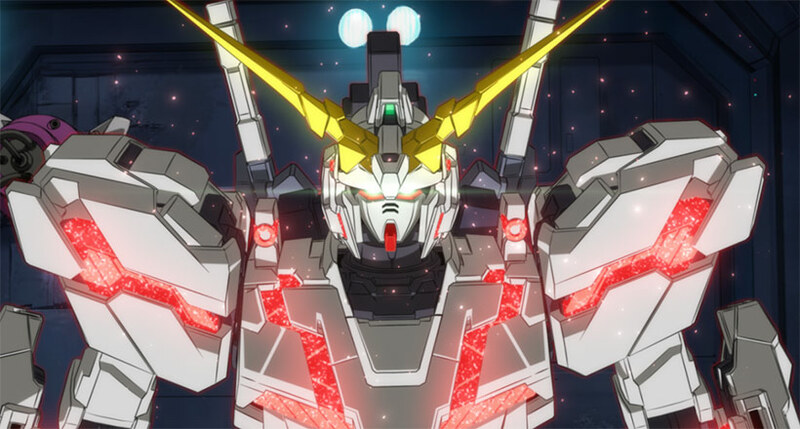 But with an ambition born out of a 7-episode OVA format, something unheard of in a climate that has been emphasising TV productions interspersed with theatrical outings in anime for a very long time, Sunrise has truly captured magic in a bottle with Gundam Unicorn. 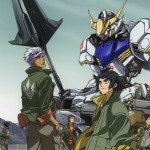 The use of political discourse and an expansive, dynamic cast across multiple theatres of conflict commands a great deal of concentration, but the pacing is handled masterfully by rolling in spectacularly choreographed action set pieces that would make any mecha fan feel weak at the knees. While characterisation does falter in some areas, often enough it plays to their strengths and players you had dismissed as unlikeable suddenly become critical parts of advancing the story. The inverse is true as well – we see characters’ vulnerability played out and corruption settling in, some unshaken by a conflict you would expect to create something of an epiphany and yet they’re too far down their chosen path to return to where they once were. But let’s return to the OVA format for just a moment, because Gundam Unicorn has a glorious time revelling in the production values offered to it by this format. On a technical level it’s extremely impressive – no corners are cut on the keys and in-betweens, the mecha battles are spectacular and tastefully blend the CG with hand-drawn animation. While it’s a result of my age that I’d prefer to have seen even more hand-drawn sequences, on a practical level achieving the level of complexity in the volume of action sequences spread throughout this series just isn’t practical in an industry environment where there isn’t bubble-levels of cash floating about. What’s striking is that the impressive technical production is only part of the result – the designs of the mecha and cast in particular are just beautiful. 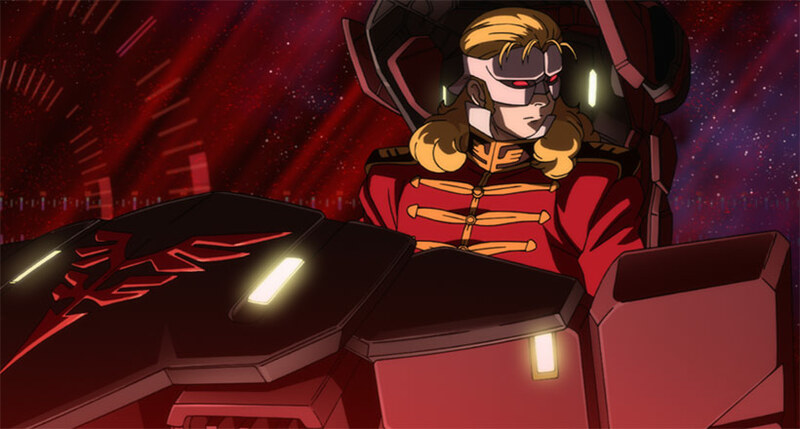 Reflecting Gundam’s history, we see a delightful tip of the hat to original Gundam design sensibilities from the late-70s with some awesome hair design and more sideburns than you can poke a stick at. It’s bold, but works extremely well. 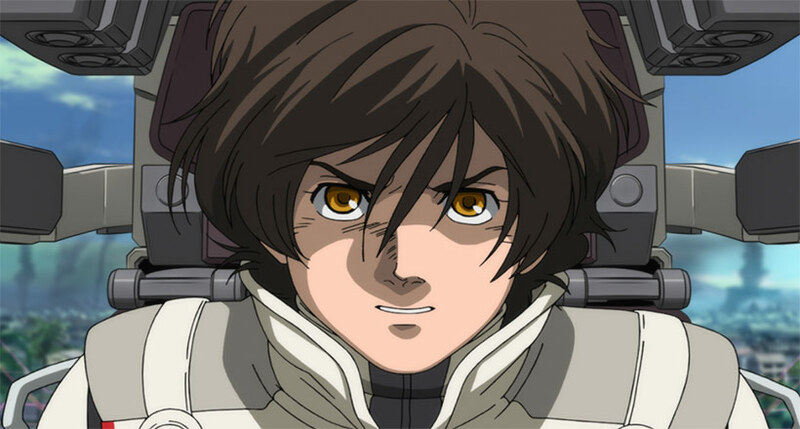 Mind, all of this enthusiasm is tempered by the fact that this is still a Gundam series and still falls prey to empathetic teen/giant robot pilot/high schooler syndrome – Banagher never ceases banging on about the futility of war, he hates gunning down other robots and their pilots, let’s be friends, and so forth. Each episode has transforming robots that operate on the passion of their pilots whose inner light makes them glow with swirly colours, there’s lots of chatting inside giant space ships, people have uniforms and like getting into biffo – you get the idea. It just happens that I think this is all still rad given the influence of Macross/Robotech in my formative years of anime fandom, but if you’re looking for a series that deliberately eschews its setting to rise above it, you won’t find it here (if that’s you’re thing, go watch Cowboy Bebop – it’s still tremendous nearly 20 years on and does well applying the wild west to outer space). Madman’s Gundam Unicorn complete collection houses all seven discs in a fatpack, so it’s tasteful if pragmatic. Encoding is tight and the 5.1 soundtrack is maintained for both English and Japanese audio; my only niggle would have been to see the discs maintain NTSC encoding to reduce frame blending, but that’s being really picky in the grand scheme of things. Reflecting the lengthy distribution of the original releases in Japan (the first episode was released in 2010 and wrapped up in 2014), each disc contains recaps and other complimentary features, with the final disc bundling the EX episode, “One Hundred Years of Solitude” which helps round out elements of the story outside the seven OVAs. Hyperbole aside, Mobile Suit Gundam Unicorn is a really engrossing series. The combination of talky politics and mecha action created a balance of sorts, and the characters on the whole were genuinely interesting, even the ones that suffered from earnest-trope syndrome. It won’t convert anyone who isn’t a fan of space operas or giant robots, but if you’re susceptible to this collective genre you’ll find an awful lot to love here.